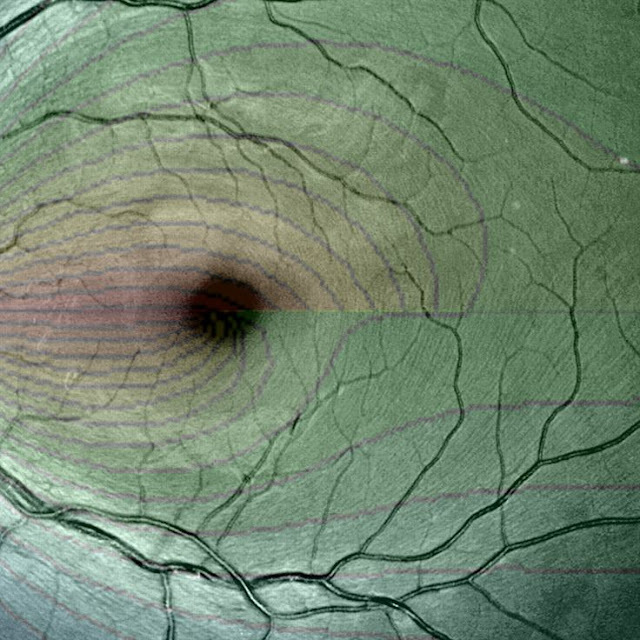 Compare the retinal nerve fibre layer (RNFL) thickness in multiple sclerosis (MS) patients, with and without previous episodes of optic neuritis (ON), to disease-free controls, using optical coherence tomography (OCT). The RNFL was measured with a spectral domain OCT (Canon HS-100) in 433 MS patients and in 70 controls. The MS eyes were sorted into three groups: MS non ON eyes (MSON−), MS ON eyes (MSON+) and the fellow eye of MS ON (MSON_fellow). One eye of each patient in the MSON-group and in the control group was selected randomly for analysis. Seventy control eyes, 327 MSON- eyes, 106 MSON+ eyes and 106 MSON_fellow eyes were analysed in a linear regression adjusting for age. The average RNFL thickness was found to be statistically thinner in the MSON− group (88.2 ± 13.0 µm) compared to the controls (98.1 ± 9.0 µm; p < 0.00).The average RNFL was thinner in the MSON+ group (77.3 ± 15.2 µm) compared to MSON− eyes and the controls (p < 0.00). A paired t-test showed a significant decrease in RNFL thickness in the MSON+ eyes compared to MSON_fellow. Multiple sclerosis causes RNFL loss. A mean reduction of ~10 µm was found in MS patients without history of ON and a mean reduction of 20 µm was found in MS patients with history of ON compared to healthy controls. This study showed that OCT is a useful tool that provides evidence of neural degeneration in MS patients, with or without the presence of ON.